The Crystallise Review team is transforming the way literature reviews are conducted, providing clients with greater transparency and value for money. We have two unique tools that allow us to offer clients much more transparency in their literature reviews and greater value for money without changing the rigorous processes required for HTA submissions. 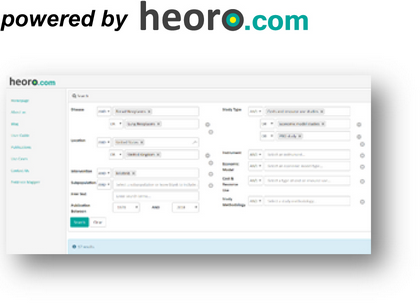 We use our heoro.com database as an additional source of studies on the humanistic and economic burden of disease. The pre-indexed database saves days of screening time, meaning we can search more broadly for studies without incurring greater costs and delays. Heoro.com has been cited as a data source in systematic reviews for HTA submissions. We routinely provide clients with an Evidence Map as an interim or final deliverable. 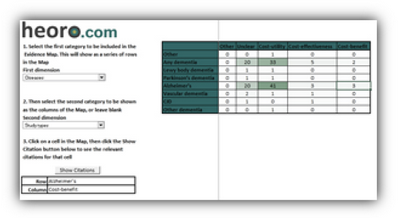 The interactive spreadsheet allows clients to see all the relevant studies identified after abstract screening, subdivided into categories. Targeted reviews become methodologically transparent as clients can select subcategories of studies to be included in the report. 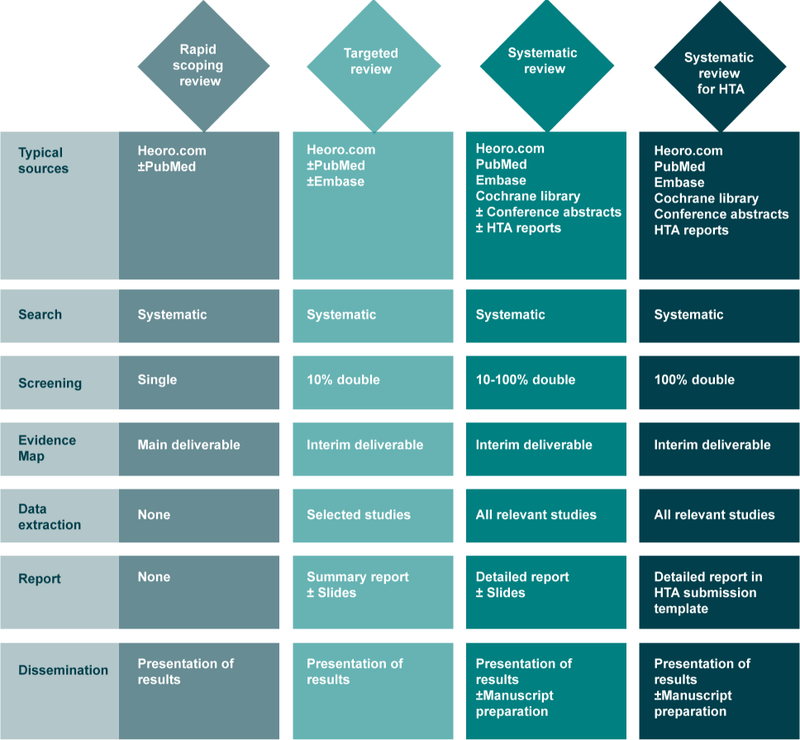 Systematic reviews can be scoped quickly and cheaply, with the Map becoming a foundation for a full review.